Markets.com is a leading multiple asset broker and a Safecap Investments’ trading name. 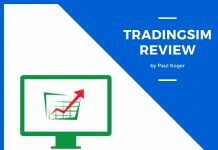 Its easy-to-use interface and other features mentioned in my Markets.com review make it a preferred broker by numerous beginner traders. Safecap Investments is a subsidiary of Playtech PLC which Cyprus regulates. Playtech has been on the London Stock Exchange since, 2012 under the symbol PTEC and is part of FTSE 250 Index. The brand is passported through Europe as MiFID, and regulated by the South African regulatory board, FSB. Markets.com serves Forex and CFD trades with the help of its proprietary and third-party trading platforms. Citizens from most European countries can open an account with Markets.com. However, citizens of US, Canada, Australian, Belgium, China, Hong Kong, Indonesia, Malaysia, Singapore, Japan and a few other countries are restricted. All you need is a minimum initial deposit of $100 to open an account with Markets.com. Then, you can start trading with its cut-throat ranges and liberal trading investing options. Your standard account will be set up in few minutes once you upload all the required documents. For currencies like SEK, NOK, DKK, GBP, EUR and PLN, you can only open one type of standard account. There is no minimum account balance requirement once your account is opened. You just have to provide your personal data, trading experience, financial information and answer few questions testing your financial knowledge. You will be required to provide your ID and proof of residency, which is approved within 24 hours. 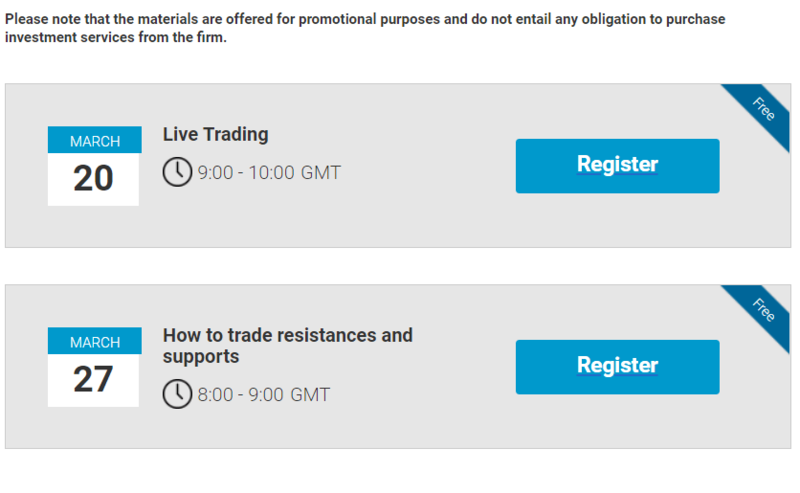 Markets.com also offers trial accounts for beginners and for traders who want to try out new trading techniques before involving money. The trial account helps traders gain some experience before making financial commitments. Being a CFD broker, all their products are built on CFDs which are Contracts for Differences. Markets.com offers CFDs on stocks, indices, currencies, commodities and have also started offering CFDs on cryptocurrencies like Bitcoin and Litecoin. 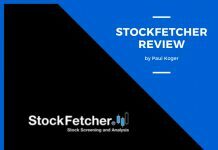 Stocks – CFDs let traders own a position without physically owning it. 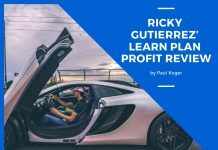 This lets clients trade in various markets with immediate execution and leverage. Customers enter CFD contracts at the stipulated rate and the difference in this rate together with the closing position is settled by cash. As this is a CFD broker, it’s the broker who decides which stocks they want to provide CFDs on. This is also why Markets.com has an average stock CFD selection, unlike brokers who offer a large stocks product range to choose from. ETFs – Markets.com offers 39 ETFs which is considered mid-range as there are some tools that offer as many as 675 ETFs. Indices – There are 27 indices to trade as CFDs in Markets.com which includes the largest stock markets and indices. Commodities – Silver, gold, copper, and oil are the main commodities on Markets.com. Currencies – Markets.com offers as many as 55 currency pairs, including some exotic currencies. Cryptocurrencies – Markets.com also offers CFDs on cryptocurrencies. You can trade with Ether, Dash, Ripple, Litecoin, and Bitcoin. Except for Ripple, other cryptocurrencies can be traded against the USD and EUR. The broker accepts various methods to make payments like Neteller, credit cards, PayPal, Skrill (Moneybookers), wire transfer and local payment options. Account deposits are especially flexible as Markets.com accepts transfers made using MasterCard, Diners’ Club and Visa credit and debit cards. Wired transfers and local transfer options are also entertained. No fees are charged while making deposits or withdrawals and in fact, Markets.com reimburses clients for charges incurred by banks for deposits exceeding $2,500. Making a withdrawal is easy. Traders just need to submit a request for a withdrawal and their request will be entertained and completed within three days, irrespective of the withdrawal option used. All the trader has to do, is log into their account, click on the withdrawal tab and the money will then be transferred to the trader’s specified bank account. 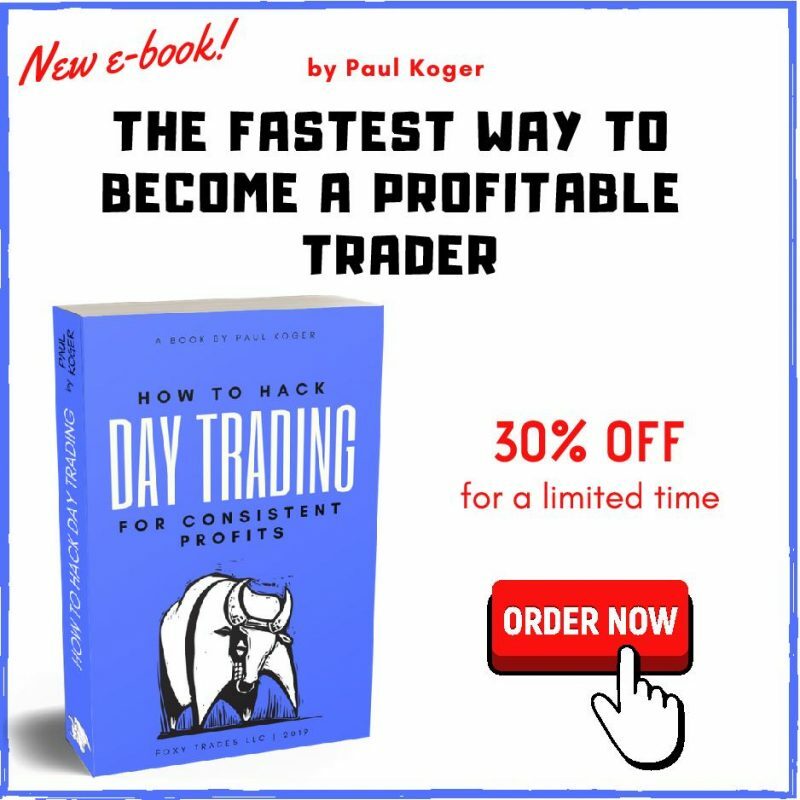 Traders just have to prove that they are transferring money from their own account, and not a third party. 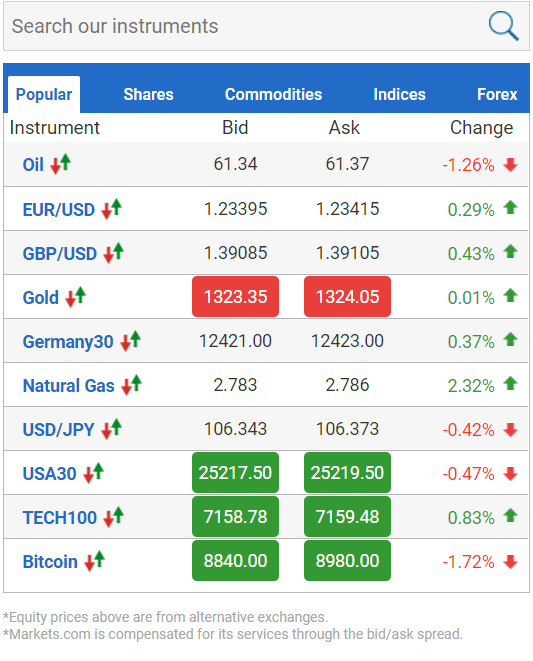 Markets.com lets traders use indicators, oscillators, chart analysis and other alerts for better assessment of what is going on in the financial and share world. This, in turn, helps traders make better predictions on the direction of assets based on the market conditions. While most multi-asset brokers offer variable spreads, Markets.com offers fixed spreads on forex pairs. Spreads are also tighter on the broker’s proprietary Web Trader platform when compared to other available third-party trading platforms like Sirix and MetaTrader4 platforms, which don’t have an extensive product range. Some of the spreads can reach so low that they are 2.0 pips on EUR/USD and 3.0 pips on MT4 offering for fixed spreads. This is comparable to other firms offering fixed spreads. However, it’s more expensive if compared to firms offering variable spreads. Markets.com fee structure appears to be competitive when broken down and compared to other CFD provider brokers. However average investors may not easily find out if Markets.com fee structure is competitive or non-competitive. Whatever fees found are included in the spread. All this makes Markets.com fee structure uncertain and unclear. There are no trading fees or commission. Everything is included in the spread, which is also why Markets.com spreads are so expensive. The only non-trading fees Markets.com charges is the financing fee that is paid as an overall rollover fee while trading with CFDs. There are no additional non-trading fees like withdrawal or inactivity fees. It is not easy calculating financing fees, as there’s no fixed calculation method for this. So, Markets.com can change both calculation methods and benchmark rates as they want, without the trader’s knowledge. You can find actual financing rates for individual instruments by clicking the instrument information. Markets.com financing rates are somewhat similar to average rates of other brokers. Clients can easily use Markets.com with its online self-activation feature and without any customer support. New traders just need to follow any messages and advice they come across and deem necessary. They may come across additional bonuses in the process of doing this. 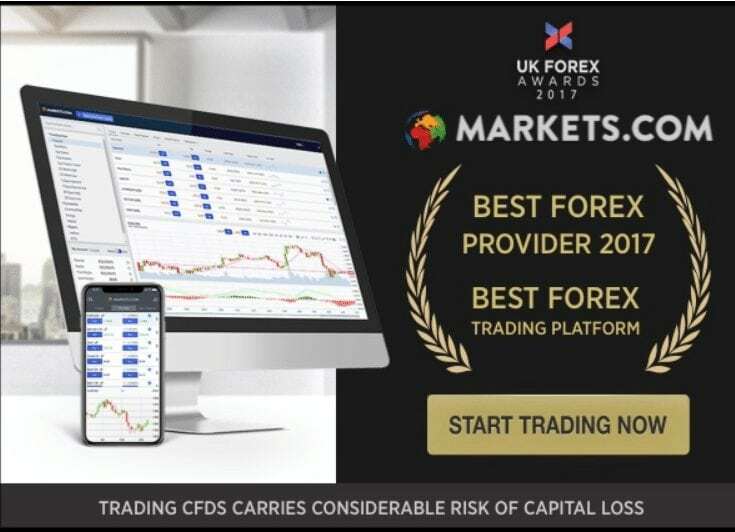 Markets.com Web Trader platform comes with a wide range of product offerings, including 55 forex pairs and more than 2000 CFDs, all in an innovative user interface. It is also available in mobile form. 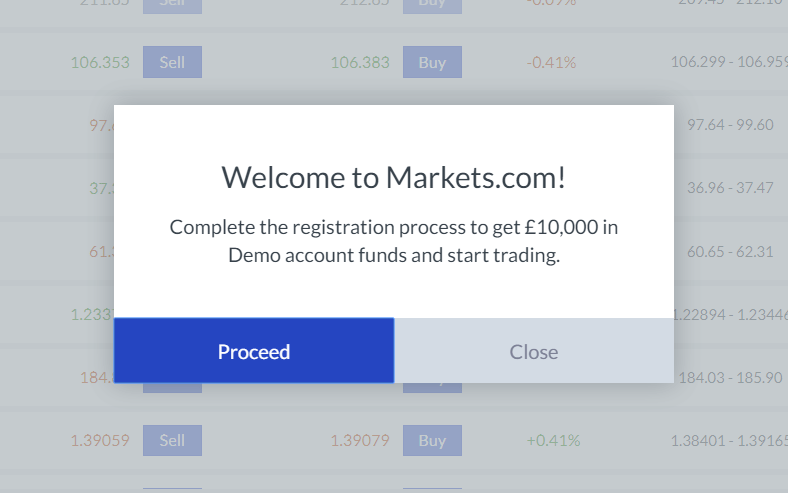 Markets.com also offers MetaTrader4 Software. Its Trader platform is integrated with various innovative features in a modern design. One of them is the HTML5 design which gives a responsive interface. With this, traders can easily alternate between different modules. It looks like an improved version of Plus500 platform as there are some similarities between the two. Examples are the methods in which instruments are shown and the use of star icons for adding favorites to watch list. This platform offers more than 90 indicators for charting and technical analysis, which is much more than the industry average. The broker also has a Trading Central powered premium indicator, which helps traders predict market movements using automated technical analysis. This is a feature appreciated by traders who do lots of technical analysis. While the number of indicators is a huge plus for Markets.com, its limited four trend lines drawing tools is a charting drawback. The platform has few resources for areas like research and news, but they do carry a rich premium feel and a lot of attention is placed on details for an optimum user experience. Another interesting feature is its default module linking where it’s possible to change any open chart to an instrument, just by clicking on a symbol in your watch list. One fascinating feature is the charts’ visibility from practically every view. It helps traders focus on both recent and present price actions. 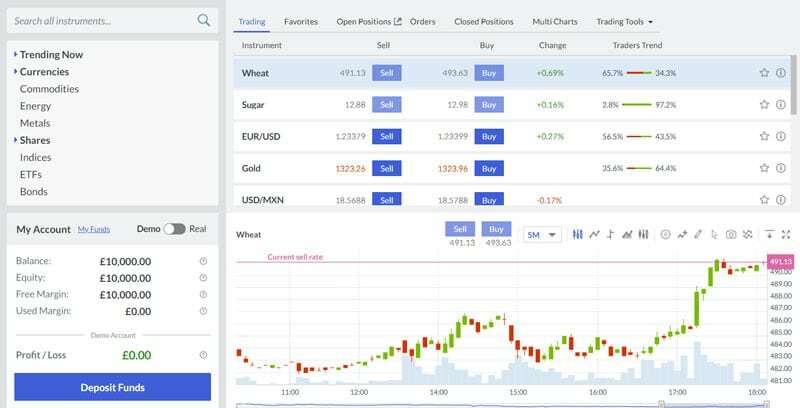 When compared to MT4 and its compatible Sirix Web platform, Web Trader is definitely a much better platform, because of its features like lower spreads and access to more instruments. 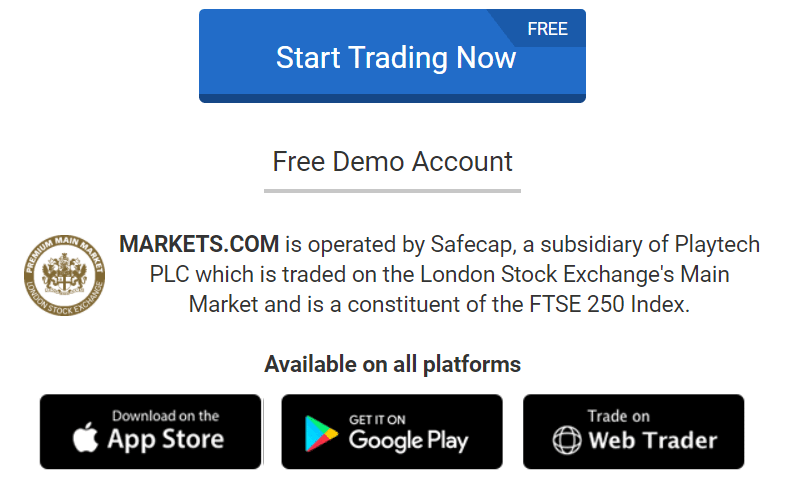 Markets.com also has its own proprietary mobile app that is compatible with Android and iOS devices. This mobile app is also a counterpart of the Web Trader platform. It is integrated with various features found in its Web Trader platform which helps to maintain consistency and a common feel across both platforms. The mobile app has module linking charts and a star icon for adding favourites to your watch list, just like the web-based platform. However, the watch list doesn’t sync with favourites on the Web Trader platform by default. This has to be done manually. It’s a feature that needs improvement for enhanced customer experience. Despite the mobile app having auto-rotating charts, various time frames, chart types to choose from and an easy pinch-to-zoom interface, the only drawback is the absence of drawing tools and the inability to add indicators while charting. Traders are continually educated through Markets.com’s huge trading education resources. Traders have the option of keeping updated with forex movements through its everyday briefings. Its technical analysis feature lets traders who deal with CFDs and forex, keep track of the changes in the market. Traders are also updated on the changes in commodities, indices, and stocks, which proves helpful for them to keep ahead in the volatile share markets. The Traders Trends sentiment displays Markets.com’s buy/sell customers so that you get an idea of how well other traders are positioned in the share market. Headlines are constantly streamed from news aggregators like Investing.com. There’s also an additional feature which gives you a snapshot of what’s happening in the market, like a static market screener. The Autochartist tool lets traders who sign up get as many audio and visual alerts as they require. They also receive relevant graphs and charts showing any new or completed patterns, as well as if there are signs of Fibonacci patterns. Autochartist also has the PowerStats feature, which helps traders scrutinize the involved risks and volatility in their trading instruments. To top it all, Markets.com provides 15 different languages which include German, Romanian, Italian, Spanish, French, Arabic, Swedish, Polish, Norwegian and Slovakian. Various trading platforms to choose from. Presence of a demo account. No minimum account balance needed. The fee structure is rather competitive. Parent company Playtech is publicly listed in the UK. Offers innovative Web Trader platform and MT4 web trading. More than 2200 tradable instruments available. Traders can open only one trading account. Limited charting in its mobile app. Limited product portfolio comprising mostly of CFDs. Not FCA regulated. It is only FSB and Cysec regulated in a minor jurisdiction outside Europe. The fee structure is not transparent. The broker is proud of their customer support team. Employees respond to calls from customers 24hours from Monday through Friday. With their fluency in various languages, different email addresses for different departments and live chat, it’s really easy contacting Markets.com, when compared to the market standards. Markets.com places emphasis on ensuring their client account details’ safety. Not only does the broker have additional physical and technical safeguards in place, it also has rigorous firewalls and technology, which ensures safe transmission of information. Considering the many features, pros and cons of Markets.com, it seems to be a solid and reliable broker. Its website is informative and educative. In addition, there is a demo account to help beginners understand the stock market before involving any capital. Its initial deposit is a mere $100 which is rather reasonable when compared to other brokers. There’s no inactivity or withdrawal fee, which so many competing brokers have, unfortunately. The broker has two different bodies regulating it along with reliable EU authorities, making it a safe and secure site. In short, not only is Markets.com good for a beginner, its excellent customer service, solid concept, regulation and generic competence makes it a good option for traders with all kinds of backgrounds.